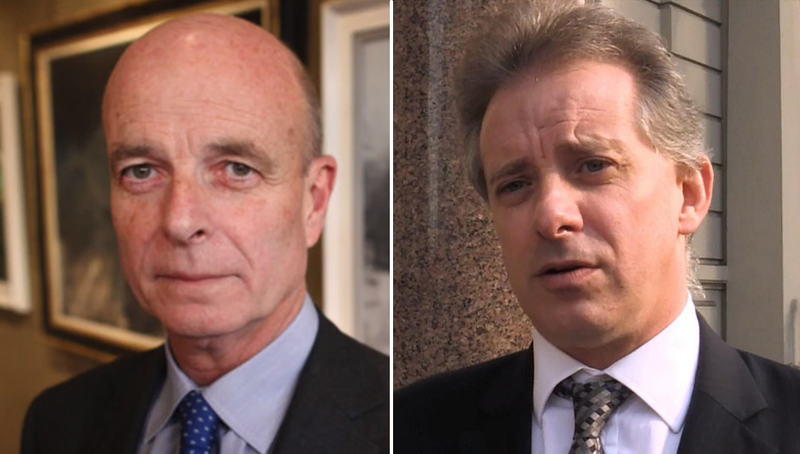 Christopher Steele's Former MI6 Boss Calls Dossier "Overrated"
In yet another stunning blow to the so-called "Steele Dossier" assembled by former MI6 agent Christopher Steele, the former chief of the (MI6) said the hastily cobbled-together report by his former employee is "overrated" and its salacious claims against Donald Trump unlikely to be verified, as the Daily Wire's Ashe Schow reports. Following an appearance at the Jamestown Foundation's 12th annual terrorism conference in Washington D.C., Sir John Scarlett - who headed the British Secret Intelligence Service from 2004 to 2009, fielded a question from journalist Nicholas Ballasy, who asked Scarlett what he thought of the dossier and if he believed what was written in it. "Well, no," said Scarlett, adding "I looked at it and I thought these are commercial intelligence reports; I don't know about the sources -- they might be right, they might be wrong and they'll probably be overrated and they've been overrated." When asked if the dossier could ever be verified, Steele's former boss said "No." "Well, they were commercial intelligence reports and they were visibly that so there's a question of why they were there and where they came from and who commissioned them and so on," adding" So, I've tended to see them in that context and never quite of political significance for obvious reasons and actually if you think about it, people have talked about them in a really big way a year or so ago and they haven't really made that much of a difference." "As I said, I suspect, all I can say, is they are overrated." When asked about what Steele was like to work with, Scarlett replied: "I'm not going to comment," before walking away. We're guessing he's probably tired of MI6 having been mentioned in the same breath as Steele for the last several years.